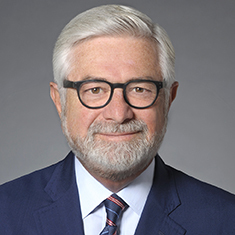 Arthur W. Hahn is global co-chair of Katten's Financial Services practice and a member of the firm's Board of Directors. He represents major international banks and brokerage firms, international equity and commodity exchanges, and clearinghouses and technology companies in connection with their regulatory, business and litigation needs. His clients include the LCH.Clearnet Group, Bank of New York Mellon Corporation, The Mexican Derivatives Exchange (MexDer), Barclays and CalPERS. Arthur also provides experienced counsel on legal issues involving high-frequency trading. He is regularly involved in enforcement matters and securities litigation and is a certified mediator, focusing on resolving financial instruments and markets disputes. He is a sought-after lecturer and author on subjects relating to all facets of financial services. As a member of the Board of Directors of the Futures Industry Association, Arthur is involved in rulemaking and policy discussions involving industry leaders, regulators and legislators. Shown below is a selection of Arthur’s engagements.